Husband-and-wife team Lanette and Ryden Rizzo of New York design studio Allied Maker has produced a triangular wall fixture with softly glowing lights at each tip. 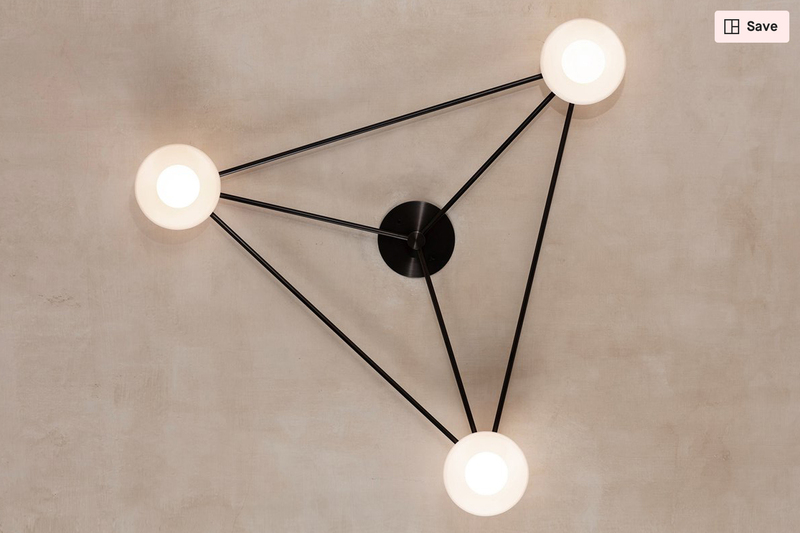 Produced in the Rizzo’s Long Island workshop, the Archipelago surface lamp has a thin, triangulated brass frame and slender rods reaching in from each tip to a round plate at the centre. The tips of the triangle are adorned with blown glass globes that glow gently in the palms of opaque glass domes. The Archipelago collection includes various sizes of surface and pendant lights with different geometric brass frames that come in Allied Maker’s range of eleven different metal finishes. The Archipelago collection is on show in the brand’s New York showroom, a former dentist’s office in the Tribeca neighbourhood.